Check out the 12 Facts About the New Refillable Mug Design at Disney World everyone needs to know before they go! UPDATES are at the end of the post! Updated last on November 10, 2016! The Refillable Mugs No Longer Look Like The Video Below, But We Miss Them! 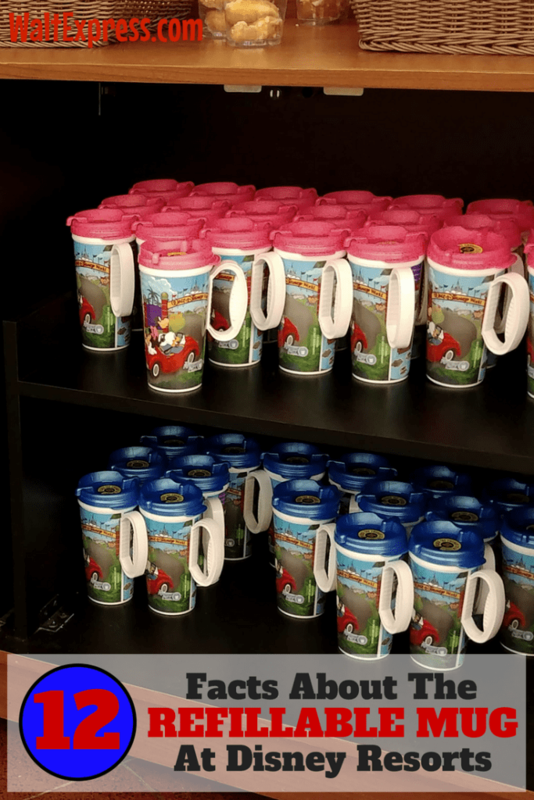 The NEW refillable mugs may have finally arrived at Walt Disney World. Walt Express has several readers who have spotted the new design today and yesterday. The artwork on the mug is pretty much the same, but the mug itself has a new, sleeker design. The big difference this year is that the mugs no longer have a handle. The upside to the new design is that it takes up less room, fits into more stroller and car cup holders, and will be a space saver for stacking in your cupboards once you return home. Yet being without a handle could make it much harder for one person to refill the mugs. 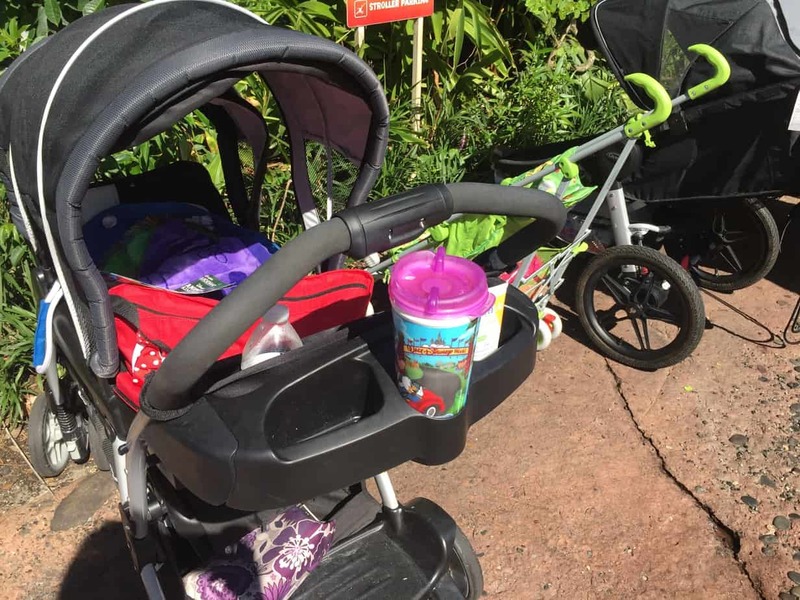 Here are 12 facts about the refillable mug design at Disney World. 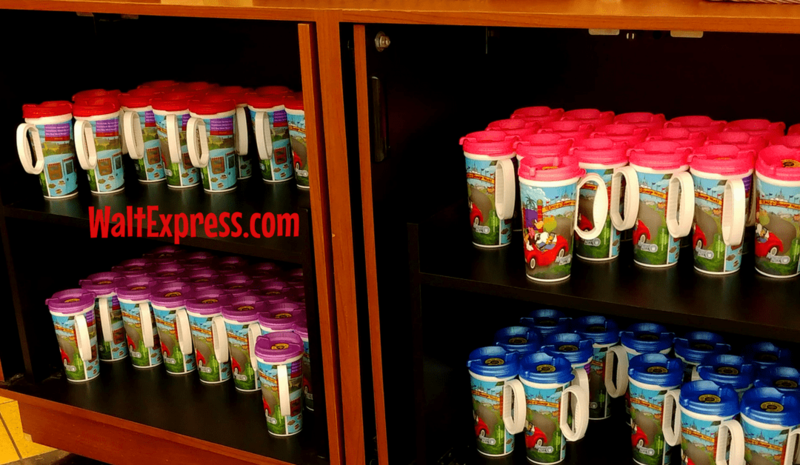 1) Refillable mugs are 16 oz hard plastic, insulated mugs sold at the Walt Disney World Resort. You can purchase them at Refill stations that are located in food courts, quick service locations and pool bars at all Value/Moderate/Deluxe resorts. 2) All mugs have a RFID chip in them, which allows the soda machines to identify the mug. The RFID chip is activated when you pay for the mug at the counter; if you are on one of the Disney Dining Plans then the mug is included in your package. Simply tell the person at the counter that you would like to redeem your free mug on the dining plan. 3) If you are not on the Disney Dining plan you can still purchase a mug, but it will cost $17.99 for each mug. If you do not want to activate the mug for your entire stay, you do have the option to activate it for only one day ($8.99), two days ($11.99) or three days ($14.99) of your stay. The mug is yours once you purchase it, but if you want to save a few dollars or you only want it as a souvenir, then this is a great way to go. Please note that these plans are for consecutive days of use. 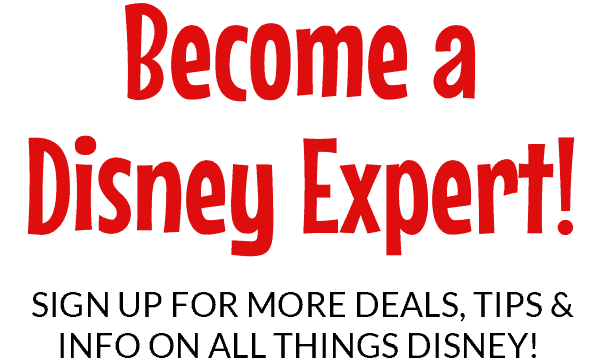 4) Guests are entitled to unlimited free refills on fountain drinks, coffee, hot chocolate and tea from self-service beverage locations at Walt Disney World resorts for the length of their stay. You cannot save your mug, take it home with you and then expect to bring it back for your next stay and be able to refill it. It DOES NOT work like that! The RFID chip will no longer be recognized and the soda gods will frown upon you (i.e. you will not receive soda or coffee from the machines). 5) If you are doing a split stay/resort hopping, you do not need to purchase a different mug for each stay. You can use the same mug for both resort stays, just make sure to tell the cast member at the counter that you are staying at two different locations but would like to keep the same mug. This keeps you from having multiple mugs to keep up with. 7) After you fill your mug, the machine will not allow you to refill your mug again for two full minutes. 8) Each self-service, refillable mug location has a MUG WASH! That’s right — there’s a little sink right next to the drink dispensers that you can use to wash out your mug. 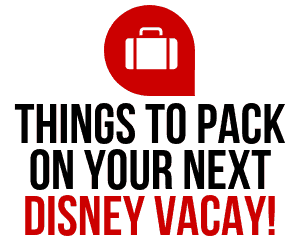 9) You can take your mug into the parks, but you cannot get your mug filled for FREE like at your resort. 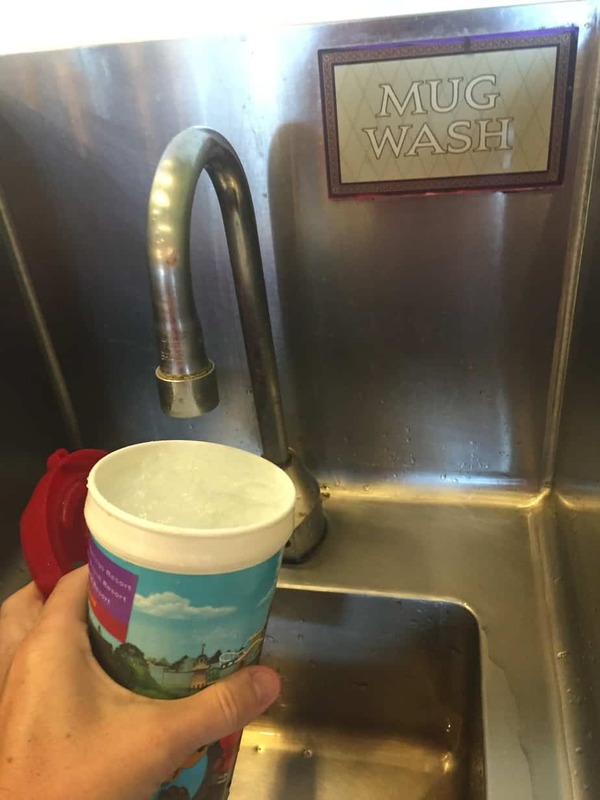 However, you can often get kiosks to fill your refillable mug with ice water. 10) You can refill your mug at other resorts, so feel free to take your mug with you if you plan to eat at one of the quick service locations at another resort. 11) If you have purchased the Disney Dining Plan, each person ages 3 and up will receive a mug at no additional cost. 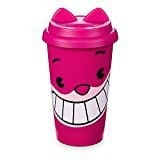 12) Anyone can purchase a refillable mug; you do not need to be staying on property to walk into a quick service resort location and purchase a refillable mug. Many people love purchasing these for souvenirs and they really are made well and last much longer than most souvenirs. 13) The new no handle design is easy to hold and will fit perfectly into your stroller cup holder. And no worries about carrying more than one mug. The restaurant you refill your mugs will provide you with a drink carrier similar to the one you get at a fast food restaurant. Buying refillable mugs is definitely a personal preference. I have a whole collection of mugs, although they take up a huge amount of space in my cabinet. But, that’s okay, they are perfect for little hands and are great for the little people in my life. If you enjoy your morning coffee on the go, these cups are perfect for your travels since they are insulated. They can also add a little magic to your daily routine as a sweet reminder of your past travels to Disney and travels to come! 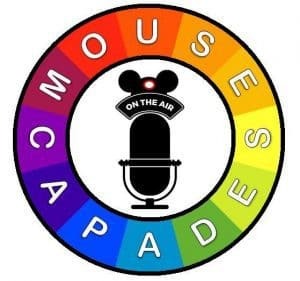 *Please note that the original post had 8 facts about refillable mugs, but it has since been updated to include all of the new information we found while enjoying the resorts and parks. There are now 12 facts listed as of January 19th, 2016. We hope the updated version helps you plan a magical trip. **Updated on July 27th to reflect the newest changes to the refillable mug design. **Updated on September 7th to reflect newest changes to the refillable mug with no handles. New pics and video were also added. **Updated on November 10 to reflect even more changes!!!! Boy this refillable mug is making us dizzy! 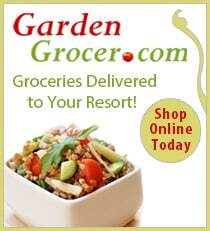 Check this article out to see the latest.